Got a searing migraine? Try heading to the kitchen for some ginger before reaching in the medicine cabinet. A new study found that ginger was as effective as a common migraine drug for reducing headaches. Ginger is already known for its healing capabilities, from easing nausea to boosting immunity, but few studies had examined its effects on migraine headaches. Researchers publishing in the journal Phytotherapy Research compared the efficacy of ginger supplements to a migraine drug called sumatriptan. One hundred migraine patients without aura were randomly assigned to take either ginger powder or sumatriptan. When a headache hit, patients were asked to record their headache severity, onset, and how long they took before taking the drug after the migraine started. 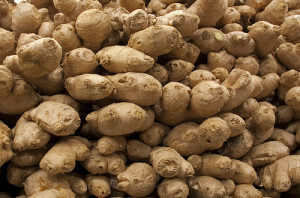 Within two hours after taking either ginger or sumaptriptan, both groups reported a significant decrease in headache severity. At the one month-follow-up, patients in both groups said they were satisfied and willing to continue with treatment. However, the patients taking sumatriptan suffered from more side effects than those taking ginger powder. “The effectiveness of ginger powder in the treatment of common migraine attacks is statistically comparable to sumatriptan,” the researchers concluded. Another herbal supplement, butterbur, may even be more effective than certain drugs for migraine. One recent study found that patients taking butterbur had fewer headaches than those relying on anti-inflammatory drugs. But herbal supplements aren’t your only option for naturally relieving migraines. A 2011 study showed that exercise is as effective as drugs for preventing migraines. 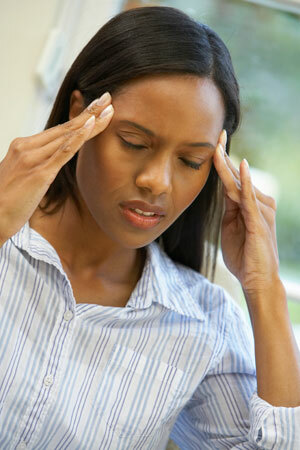 Other studies suggest that chiropractic care can significantly reduce headache severity and frequency. The findings could offer some hope for migraine sufferers, since growing reliance on headache medications may actually cause you to have more headaches, according to recent research. Mehdi, M., Farhad, G., Alireza, M. E. and Mehran, Y. (2013), Comparison between the efficacy of ginger and sumatriptan in the ablative treatment of the common migraine. Phytotherapy Research 2013; doi: 10.1002/ptr.4996. Written by: Marissa Luck on May 30, 2013. Last revised by: Kelly JohnsonJune 3, 2013.